When you look for Savannah Tours, you’ll want to give yourself plenty of time to see the best that the city has to offer. You can start by taking your own walking tour, starting from the front door of our historic bed and breakfast inn. We’re located in the heart of downtown Savannah, surrounded by restaurants, shops, galleries, museums, and more. 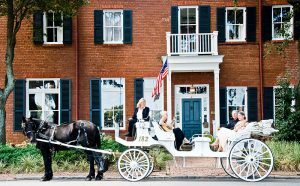 If you’d like to prefer a commercial Savannah tour, the tour company meeting locations are all less than a 10-minute walk from our bed and breakfast. 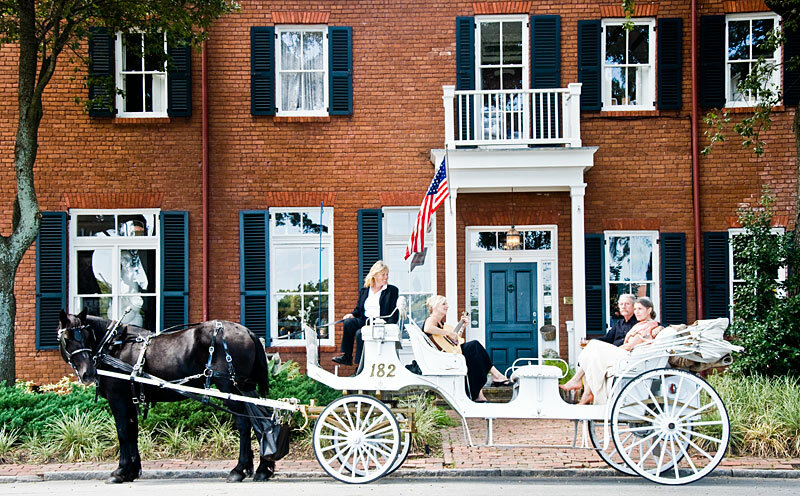 Or, most (but not all) of the Savannah tour companies will come pick you up at the Foley House Inn. Savannah’s history is rich…and haunted. There are a variety of ghost tours to choose from, some of which include the notorious Pirate’s House and Sorrel-Weed house. There are foot tours and bus tours, with stops at cemeteries, haunted pubs, and ghost-filled mansions. Paula Deen is Savannah’s “hometown girl,” made famous from her Food Network cooking shows. A Paula Deen tour includes information about her rise to cooking stardom, as well as lunch at Uncle Bubba’s Oyster House, her flagship restaurant. Food tours abound in Savannah, from foodie tours to tastings, Q & A’s with chefs to walking tours. No matter which food tour you choose, you’re sure to enjoy some of the best cooking in the South. Have a group or private carriage tour that explores downtown Savannah. Highlights include River Street, City Market, and historic squares. Savannah’s African American history tours span more than 200 years of rich history, including the Underground Railroad, the Civil Rights movement, secret schools, and other spiritual and cultural touchstones. The cemeteries in Savannah are not only some of the most beautiful places in the city, but also the most historic. You can tour the cemeteries by day or night (if you dare), and the Bonaventure Cemetery is a must-see. 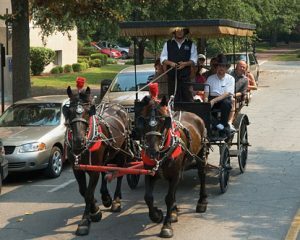 Most of the commercial Savannah tours range from $25-$100 per person, and last from 1.5 hours to 3 hours. At the front desk of our bed and breakfast, we have information available on the most popular tours.